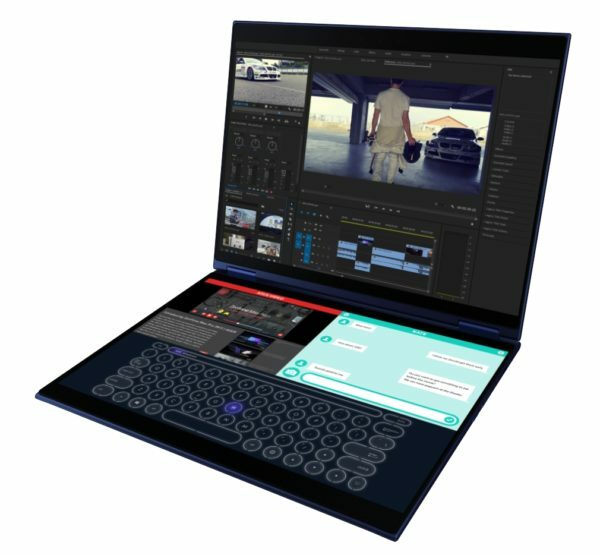 The Computex 2018 currently being held in Taipei is an opportunity for Asus to unveil its Project Precog and Lenovo its Yoga Book 2, Ultrabooks that have the distinction of offering a dual screen! The new Asus Project Precog Ultrabook is a 360-degree tabletop Ultrabook that can be set in Tent or PC mode. 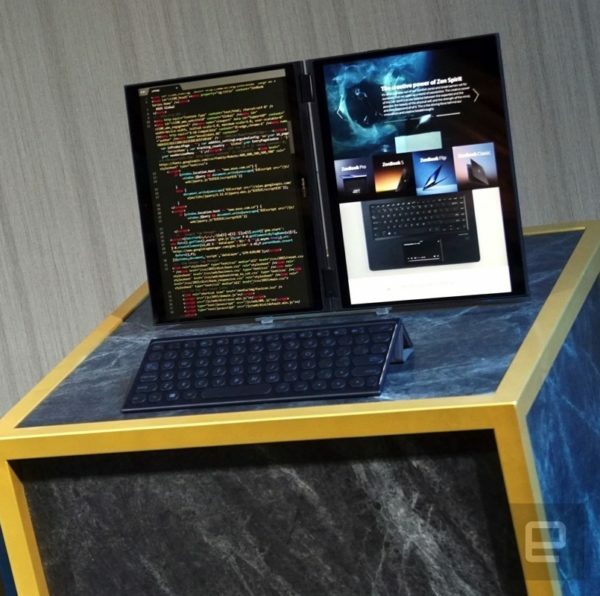 Nothing really original at first glance, except that the Asus Project Precog (a term that echoes the Precogs able to predict the future in the movie Minority Report) does away with a physical keyboard (and touchpad) replaced here by a … 2nd screen! The latter is a touch screen multi-touch that can act as a virtual keyboard . It can also be used to display various information and windows. Asus indeed evokes a “customizable interactive interface” for this second screen. Intelligent Touch technology automatically recognizes active pens and modifies the virtual interface accordingly. The position of the virtual keyboard is adjusted automatically depending on where the user positions his fingers (or a stylus). Combined with a physical keyboard this time, the Asus Project Precog can act as a dual display. For its Project Precog, Asus announces the support of the virtual voice assistants Windows Cortana and Amazon Alexa. If it is a notebook PC concept, the Asus Project Precog could give rise to a model marketed to the general public. 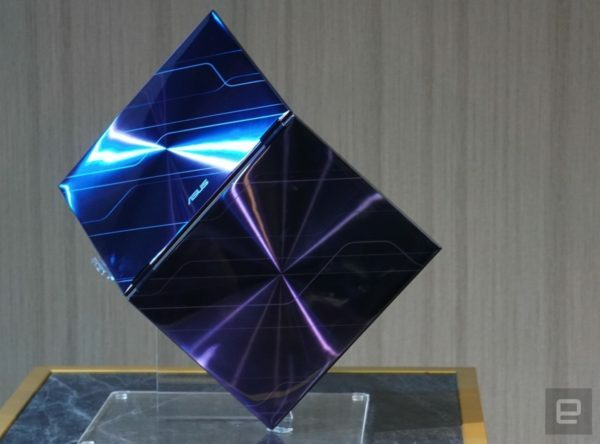 This is in any case the goal towards which Asus is turning for 2019. 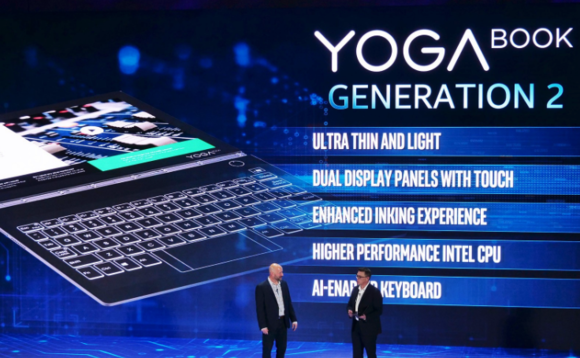 The double-screen concept is also used by Lenovo, who presents Computex 2018 with its slimand lightweight Yoga Book 2 . 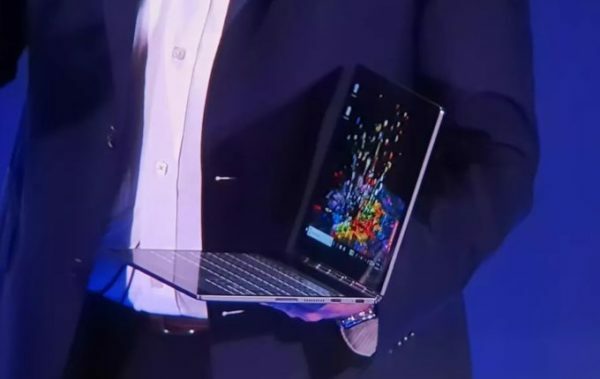 It promises to be equipped with a more powerful processor than its predecessor who was content with an Atom Cherry Trail. So we can expect to have at least a very low power Intel Core Y series, probably a 10nm CPU. Again, no physical keyboard and touchpad that leave room for a touch screen multi-touch (usable with fingers or stylus) with an artificial intelligence: it can act as a virtual keyboard or display solution, or a combination of both. Here too, we can also use the Lenovo Yoga Book 2 as a display system in its own right.